Research has found that audio-visual media is more well-received from a marketing perspective than textual content. 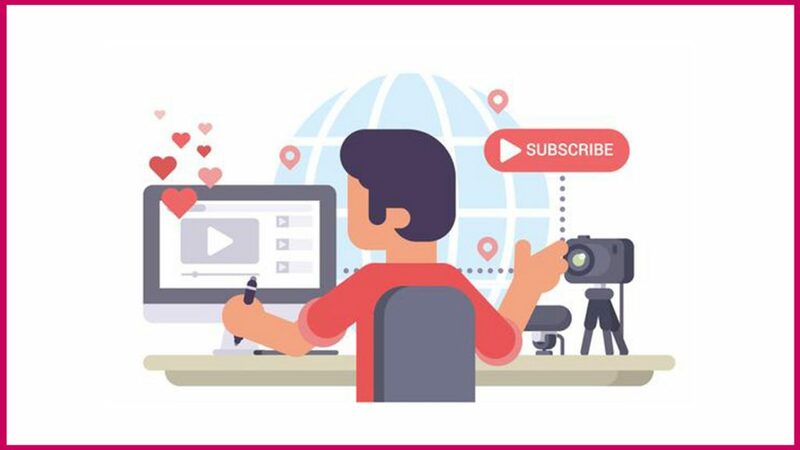 The trend makes sense as the numbers of online videos being consumed is growing on a daily basis, making it a crucial part of any business’ marketing strategy. Larger companies choose to manage in-house video production departments, but what about the smaller agencies who cannot afford to maintain these departments? This article will provide information on the pros and cons of outsourcing and using in-house UK video production services. • the production team understands the company’s business objectives and unique branding. • the team is available at all times and is contactable if there is a problem. • the convenience of having a production team onsite for any impromptu meetings. • clients can stop by unexpectedly to review the progress of their video production. • the production team has an interest in the success of the task as they are paid a salary and bonus for the work. • the team is able to prioritise their resources and time along with the company priorities; therefore, the work can be completed without any rush and will be relevant to the company’s needs. • creativity diminishes as employees tend to have an individual creativity style. When a team is used, there is a perception of outside work being better and a lack of creativeness is often experienced. • the larger the production team becomes, the slower the progress of the projects as more people work on the items with more processes being put in place. • the demand for video services fluctuates and while some roles remain busy, such as production, the roles of editing can become idle. • there is a loss of staff productivity in the team with the individual losing approximately 25% of the time to training, meeting and process requirements. • expert professionals with experience in a plethora of fields. • the rates can be negotiated regarding the production roles. • no capital outlay regarding equipment as the professional provides all equipment. • more creativity is seen as the individual is exposed to other clients. • professionals are more enthusiastic. • building a professional relationship can be challenging when you are not working in the same building. The old adage “a picture is worth a thousand words” has historically proved to be true for brands across the UK for many decades now. That being said, it is important to note that in the modern era, video messaging is proving to be a far more effective mode of communicating than pictures/still images. In essence, 3D is phasing out 2D imagery as the most preferred method that brands use to get their brand message across. In a nutshell, in a world where all brands are vying to not only grab the attention of the masses, but to also retain that attention long in enough to pique interest and, therefore, drive up sales, brands that are able to interact the most with their audience fair better. Using London animated video services in 2019, businesses of all sizes are better placed to get their brand message across. What Makes Animation So Video Effective? 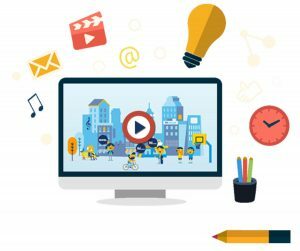 A well-created and well-executed animation video theme is capable of yielding a fun, visually intuitive, informative, and dynamic message that will not only resonate with the audience but stick to their minds. Furthermore, animation videos are able to go beyond cultural barriers, and even language barriers, allowing brands to reach out to far more people that it is traditionally possible with other types of videos. It also important to keep in mind that animated videos do not require an excessive amount of videography technology to make videos. In many cases, you do not need a large filming crew. You do not need to travel to a filming set. All of this simplifies the creation of the animation videos, something that helps reduce the overall cost incurred in the creation of your videos. Finally, animation videos are considered as a modern art form. As such, such videos are well received by the masses, hence they are more effective. One of the elements that define the best animation video services is experienced artists. While making animation videos does not entail moving to a filming set, it does require experienced animation artists. Designing and coming up with graphics that not only meet your brand’s standards but also convey the message that the video intends to convey require tremendous experience and expertise. Another mark of quality with regards to animation video services providers is the technical capacity and capability. The animation industry has grown in leaps and bounds. Unlike yesteryear, today we have plenty of animating technology that animators and artists can use. Each technology, however, has its own set of limitations and deficiencies. As such, a quality animation video services providers will invest in a variety of technology to ensure they meet the clients’ needs and bring the ideas to light. With all the above in mind, you should appreciate that animation videos are very effective in bringing your brand ideas to light. However, it is not just about picking any run-off-the-mill animator for your project. For the best results, you should hire experienced animators such as the guys at www.vebu.co.uk who have the technology foundation to bring everything your ideas to light and, therefore, effectively pass your message to the masses. Are you having problems with your central heating system? Think you need to get a powerflush done? If you answered yes to any of these questions, then be sure to keep on reading. Power flushing is necessary when your central heating system starts to become inefficient and not do its job properly. This occurs because there is sludge in your pipes that needs to be cleared out. This sludge is created due to a chemical reaction between the metal of your pipes, air, water and lime scale. The actual sludge is black iron oxide and it blocks your pipes and valves, leading to a heating system that doesn’t work as it should. The best way to treat this is to flush the entire system and we will now look at how power flushing works. So, first of all, it is highly recommended that you hire a Gas Safe registered engineer to work on your system and not do it yourself. Expert Power flush London have a team of experienced and qualified engineers. 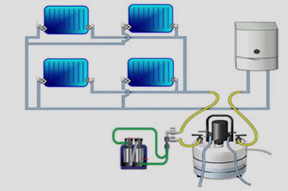 The engineer will connect a machine to the system and this machine will push a low pressure liquid through your entire central heating system. This liquid will dislodge the sludge and rust and it will remove them from your pipes, radiators and boiler. It will take many hours for the flush to take place and it will take even longer if you have a lot of sludge in your system or if your system is particularly large. Once the flush is complete, you will have clean water within your system and the engineer will also add an inhibitor solution. This inhibitor is a chemical that will help to prevent the sludge from building up once again. This is extremely effective and will protect your system for as much as 10 years before you need to do another power flush. The benefits of dong a power flush are immense and you will experience your heating system working much more efficiently than it did before. It won’t take much energy to heat up the rooms in your home or heat water in your shower etc. After a power flush, you will experience a great deal of savings on your energy bill which will be between 5 – 40% less than it usually is. In closing, we have just looked at how power flushing works and the benefits of getting one done. So, with that said, be sure to hire a registered Gas Safe engineer to diagnose your system and get a power flush done if needed. You don’t want a loud and noisy, inefficient boiler system. You should also realise that by having your boiler system power flushed, you really are helping it to stay running without breaking down. Speeding up the radiator convection is also important and part of what you can count on when you have your boiler system power flushed. Now, power flushing isn’t something that is done annually. There are other maintenance issues that need to be attended to annually.